Hello and happy Friday friends! My posting schedule has been a bit sporadic over the last few months and that's due to work, both my full-time job and my side business, which I'm not complaining about at all because having actual clients that want us to help plan their weddings is a blessing - with that being said, I do want to maintain some sort of consistent blogging schedule so for a while I will be posting Monday, Wednesday & Friday. Since Monday's and Friday's are usually link-up's - I'm going to do my best to change it up and not constantly share favorites on Friday's and if the weekend's just aren't that exciting - I'll have something else planned for that day! So with that little bit of housekeeping out of the way, here are my favorites from the week and linking up with Amanda! It might seem like every week I'm mentioning a different show, but there's aren't many shows on air right now that are must watch for me and when Gary and I can agree on a show it's pretty miraculous! Prison Break is an older show, but there are 4 seasons so we have plenty to watch! This show is jam packed with action and is more of a thriller than I anticipated, which I love! Must watch on Netflix! These chicken cakes are the perfect substitute for those non-seafood fans out there. I will be attempting to make these on Sunday and I'm pretty excited for the dipping sauce! Essie recently launched their new gel couture line and I have to say I'm intrigued. You can buy it now on Amazon, but the next time you're in a salon give it a try...I know I will. I'm really interested to see how the new brush and formula work, especially on my nails that can't hold a regular manicure for anything! Love everything about this look! The dress is just flowy enough, but the SHOES - those are amazing! Congratulations on all your clients- that's an exciting reason to be busy :) have a great weekend! So happy to hear your side business is going so well!! I love a good white dress and those shoes are a great punch of color. Happy Friday! Other than the fact it's way to hot in Texas for that dress in the summer, I love it too!! Guess what? After the urging from our sons who had all watched all seasons, my husband and I started prison break last weekend. So far we watched 11 episodes and isn't it crazy how every single episode there is something so exciting going on! I just love it. I am so happy for you that business is good! I just got a little white dress kind of like that and I was wondering what shoes to wear with it, those are darling!! Have the BEST weekend sweetie! Girl! I made those chicken cakes the other week and am sharing the recipe next week! They are DELICIOUS! I didn't make the sauce because it looked like way too many ingredients but instead made a chipotle mayo mix. I can give you what I did if you want, or you can do the sauce she recommends. Either way, the cakes are SO good! I'm interested in the new essie line too! Loving all the colors! Have an awesome weekend! 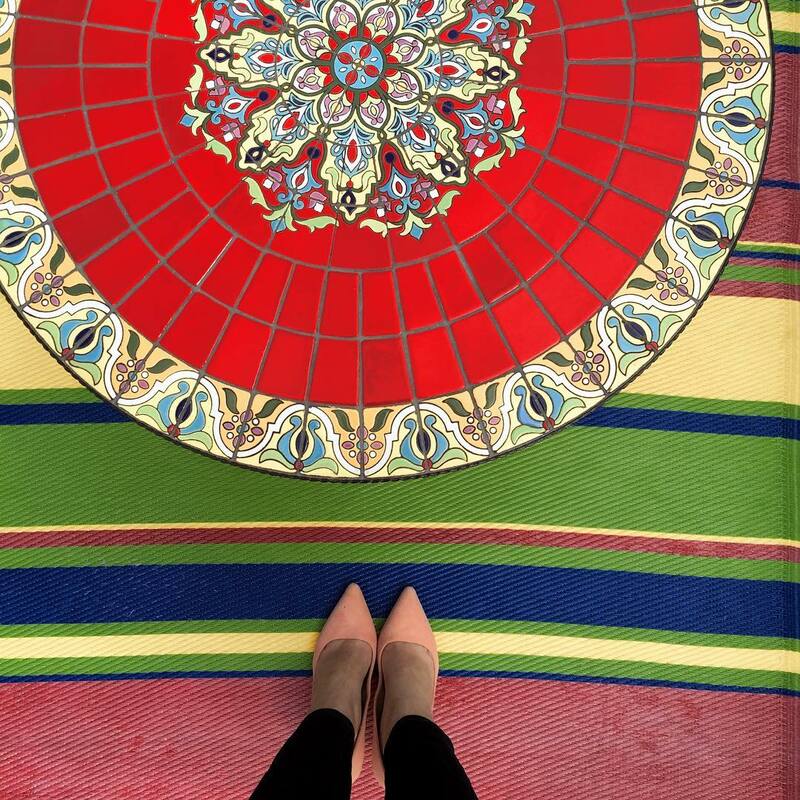 Those shoes are beautiful! And so is that first picture! What a fun idea to do chicken cakes! And love that they use remoulade sauce like crab cakes. Congratulations on all the clients and have a wonderful weekend! I'm dying to try the new Essie gel nail polish! Good luck with your busy schedule. It's great that your business and side business is blooming! Ah that Essie polish looks perfect! I love all of those colors! I hear you on the blogging schedule, sometimes it's just way too much. How fun the wedding planning business is taking off, so proud of you! The cakes and dipping sauce both sound delicious I can't wait for your review of both! It's definitely so hard to balance full-time job + blogging sometimes--I can't imagine what it's like when you essentially have 2 jobs! Those Essie polishes are seriously adorable-I need every color! Happy Friday girly! Sometimes revamping your blog schedule makes all the difference! It certainly has for me! Off to read that summer work wear article now! Great roundup! Can't wait to try the new Essie polish! And that outfit is so cute! Hope you have a great weekend! ah i was just about to text you today if i didn't see a post from you ;) i have totally been on the mon/wed/fri train lately i get that! it's just too busy around our lives to stress about getting every post in. those polishes look appealing i'll def have to try them out! have a lovely weekend friend! My husband and I watched Prison Break and we loved it!! Next spring they are coming out with another season! Don't watch the trailer until you have finished it yet, because it will ruin everything!!!! Girl, I am right there with you on the M/W/F train! Sometimes life just gets too busy with all kinds of good things and blogging takes the backseat for a little bit. I've finally gotten to that point thanks to the wedding and the house... but it's a good problem to have ;) Happy Friday! Congratulations! So happy for you! Nice and interesting list you have here. These chicken cakes look super delicious. I can't wait to purchase those Essi nail polishes. Old Navy has a short sleeved dress that looks just like that one right now! It's so cute! And the chicken cakes look delicious. Stopping over from the link up - hope you can hop by my blog as well. Have a great weekend! Yay for a booming side business, that's awesome! I remember one year when Chuck got pretty sick and was off work for a week or so he watched a TON of Prison Break and was obsessed with it...haha. Enjoy your weekend Biana! 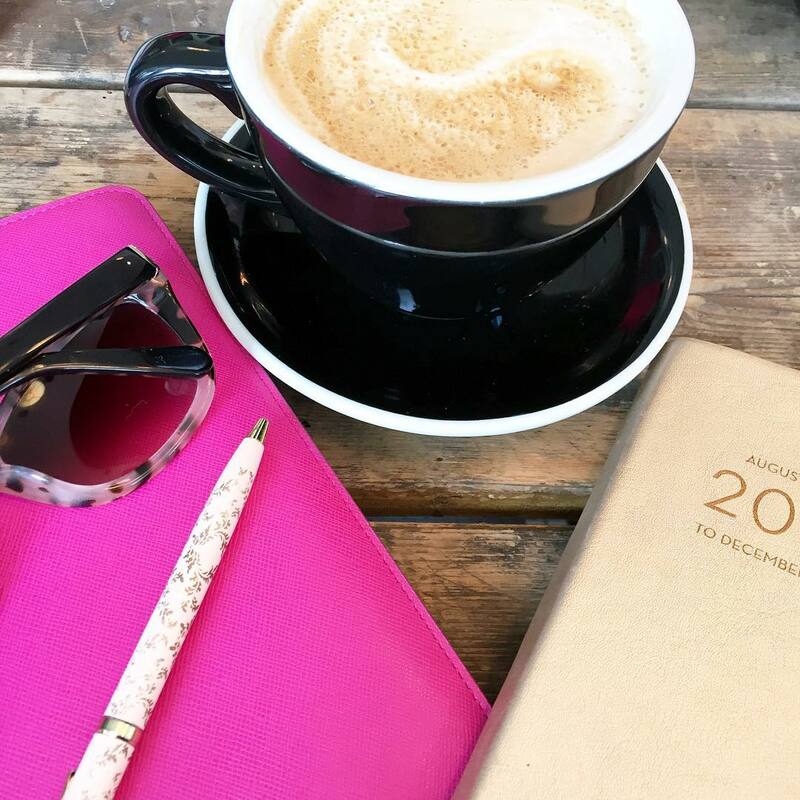 Keeping a consistent blogging schedule can be SO hard, especially since life can easily get so hectic! I think every other day is a great schedule, I'll be looking forward to reading your posts, as always! You've shared some pretty cool links, I love the Facebook hacks! How cool is that about the basketball emoji?! I don't know if I should share that with my hubby or not, haha! I hope you have a wonderful weekend ahead, gorgeous, and thanks so much for sharing! I was SO excited to read about the new Essie collection. I love nail polish and Essie especially so I cannot wait to give them a try. Those chicken cakes look so delicious. Have an awesome weekend B! Look at you being so busy. That's great. My husband loves Prison Break - I need to watch it. Those 2 guys are also in marvel Legends of Tomorrow as criminal brothers :) My husband loves that. Happy weekend!!! I've been so busy around here too, phew! Time for a vacation!!! Essie gels have me intrigued!! 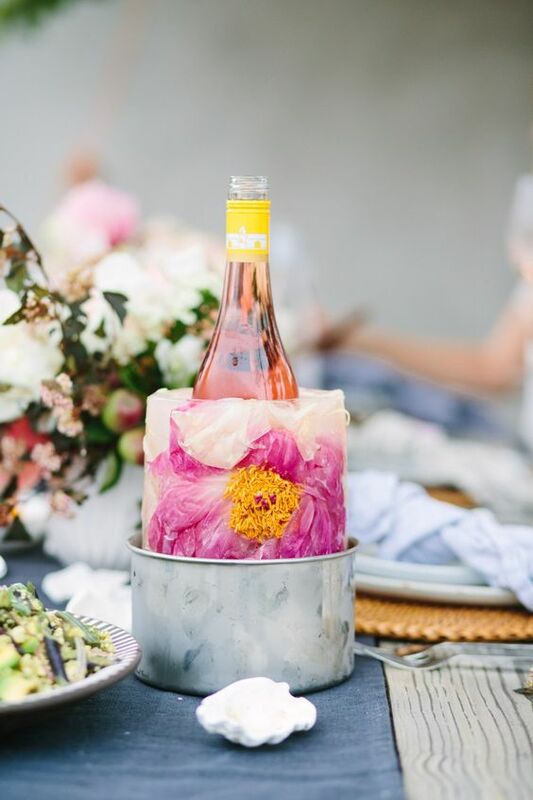 I have always wanted to make one of those floral ice buckets! It looks so pretty with a fancy bottle of champs! Maybe this summer I will give it a go! Great roundup! Being busy doing something you love is a great problem to have. :) That top picture has totally captivated my attention btw. Is that an ice bucket? I have never seen anything like that before! So cool! sweating like crazy! Or as my grandma would say "glistening" like crazy. I'm so excited to try that nail polish! Oh definitely interested in that nail polish...I hope it's as good as it sounds! I've had to cut back on blogging as well. It was a little hard to deal with at first, but good for you that your wedding business is growing! Great things happening for you! Hope you have a great weekend Biana! I can't wait to try the nail polish. I paint my nails weekly when my husband is at his softball game and my girls are sleeping. I love that wine bottles cooler. So pretty. Have a great weekend. It's so much harder to post regularly in the summer especially because there is so many things going on for everyone! Love Prison Break, such a good show and I don't know if you heard, but they are rebooting it with new episodes!!!! Oo I'll have to check out that new Essie line, regular manicures won't last for me either so I'm curious :)! Happy Friday! Oh man those chicken cakes look so delicious! I love crab cakes, so that sounds like a fun and new recipe to try out! We don't have a lot of shows on TV right now either, so the husband and I have started on multiple Netflix binges too! My posting schedule has been sporadic lately too! I need to get back into the swing of things. Glad y'all are getting more clients, that is so exciting!!! Essie's new collection is beautiful, I love their polishes and can't wait to give these a try! Great round up Biana - you always have the best recipes! I totally understand getting busy this time of the year, I don;t know what it is about spring but life always seems crazy! Those chicken cakes look amazing and I'm obsessed with that LWD! It is your busy time and that is great that you have so much business! 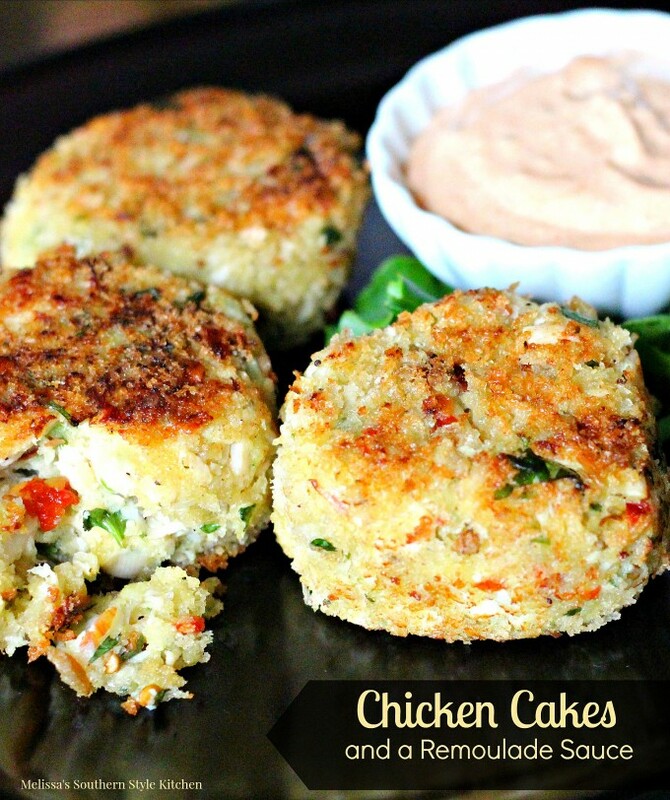 The Chicken cakes are right up my alley as I'm not a seafood lover. Have a great weekend! Lovely round up, the chicken recipe look sooo good! thanks for sharing! I've found Monday, Wednesday, Friday to be pretty manageable for work and balancing my mom life. (; Hang in there! It's awesome your side business is taking off! I watched the first episode of Prison Break and really liked it! I'll be watching the rest soon! We are really enjoying the Daredevil series on Netflix. Essie gel, say wha???? You are the first to mention these!!! Whoa new essie gel polish!! Had no idea how that so thanks for sharing Biana! Also, toooootally get trying to maintain a blog schedule! I always aim for monday weds and friday too but sometimes life happens! It is what it is! Have the best much deserved weekend my friend!! I think a lot of people slow down around the summer. I know I probably will. The new Essie collection does look interesting. I will have to give it a try. Hope you have a great weekend! I'm so curious about that Essie line! Also, those chicken cakes sound delicious! Congrats on the clients! That's so exciting. I really love that look! The dress & shoes go perfectly together. Totally hear you on the posting sporadically thing. I am so busy during the week I feel like I barely have any time to put a post together. Anyways.. those chicken cakes look delicious and I LOVE those shoes in that outfit!! I hope that you have a fab weekend!! I've heard Prison Break is a great show. I need to download it so we have something to binge watch on a rainy day. Those chicken cakes look amazing and I love that Esse collection! That dress is perfect for summer. And those chicken cakes look awesome! That outfit is so cute-- I love the shoes and the dress and earrings are so pretty too! Yay for the wedding business picking up-- I feel like it's definitely harder to post as often during the summer months. I hope you guys are having a good weekend. the chicken cakes sounds amazing! I do love crab cakes but as far as seafood crab is lower on my favorites list and I see us trying that recipe really soon! Hope your weekend is going great! I'm a huge fan of crab cakes, but those chicken cakes look amazing - can't wait to hear how they turned out. And, thanks for another show recommendation - you always have the best ones! Essie's new gel line is very intriguing! I'll have to check it out. I've got to find those Essie polishes--thanks for the Amazon info. I tried to track them down this weekend and couldn't find them! ooooh those chicken cakes look good! my mum makes these things called tuna patties, which look similar but obviously tuna. i feel you on being busy at work and whatnot.. i don't have a set blogging schedule but i certainly can't do 5 days, plus keep up with other blogs and you know, life. haha. Biana, I watched Prison Break on the Summer after the second season had already aired. Back when Blockbuster was still very popular. I rented it on a whim and the first DVD had the first 4 episodes. I ended up watching all 4 in a row and went back to Blockbuster the same day and rented the other two DVDs. Needless to say I was hooked. To this day it is one of my most favorite drama+action TV Shows. In my top 5 for sure. If you are looking for a fantastic, great-acted, drama-packed current prison show, watch Wentworth where you can currently find all 3 seasons while the 4th season is currently airing. I have talked about that show so much on the blog and it is superb. 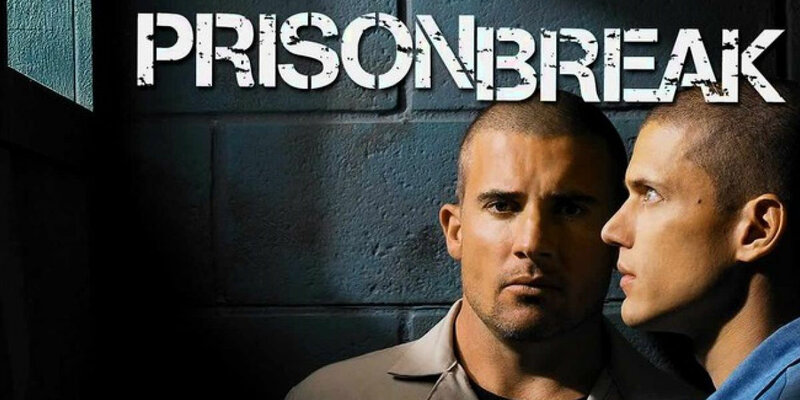 BTW, a reunion of Prison Break (10-12 episodes) are taping this year. Once the show is over, let me know how you felt. That chicken cake and remoulade dish sounds amazing and how gorgeous ins that LWD outfit? !